You’ve probably seen these bags around, or you may even own one. Lauren Bush Lauren (yes, that one…) started FEED Projects in 2007 with the mission to fight hunger in a tangible way. With every purchase, meals are provided to hungry children all over the world. Since inception, 87,649,628 have been fed. 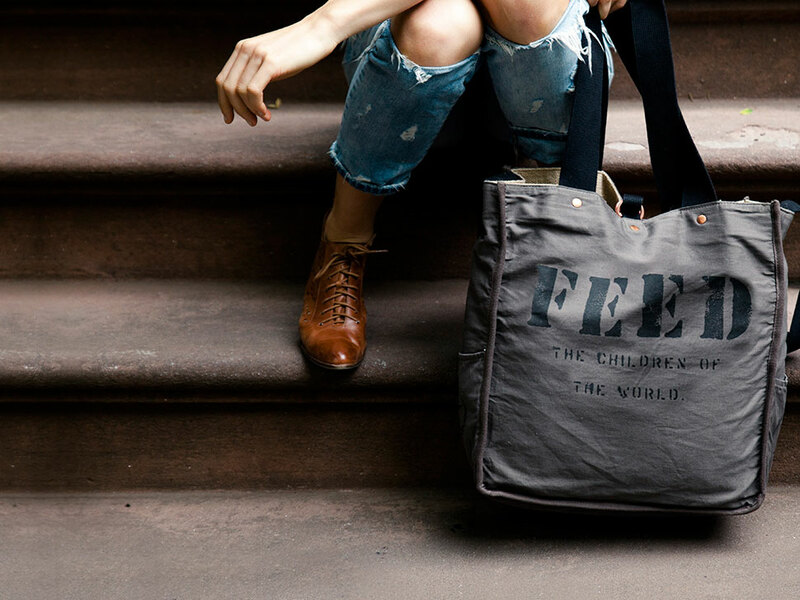 The collection has expanded since the original FEED tote, to include backpacks and fashionable carryalls (loving the new washed canvas backpack, each one stamped with the number of meals that were provided with its purchase). And lovely, too, is the fact that all products are produced under fair labor conditions, using environmentally friendly materials. FEED works with established cooperatives to manufacture their goods to provide sustainable livelihoods to underserved populations. FEED Suppers, now in its second year, is a bandwagon we can all jump on. Host a dinner, invite your friends, and in lieu of a bottle of wine, ask them to donate to FEED. The goal this year is to provide 2,000,000 meals. The website has fun downloadable invitations, ideas and decor, or you can purchase a ready-made pack. Hope you’ll join me in hosting a fun dinner with friends, for a purpose. Dates for suppers are 9/16 through World Food Day on 10/16.